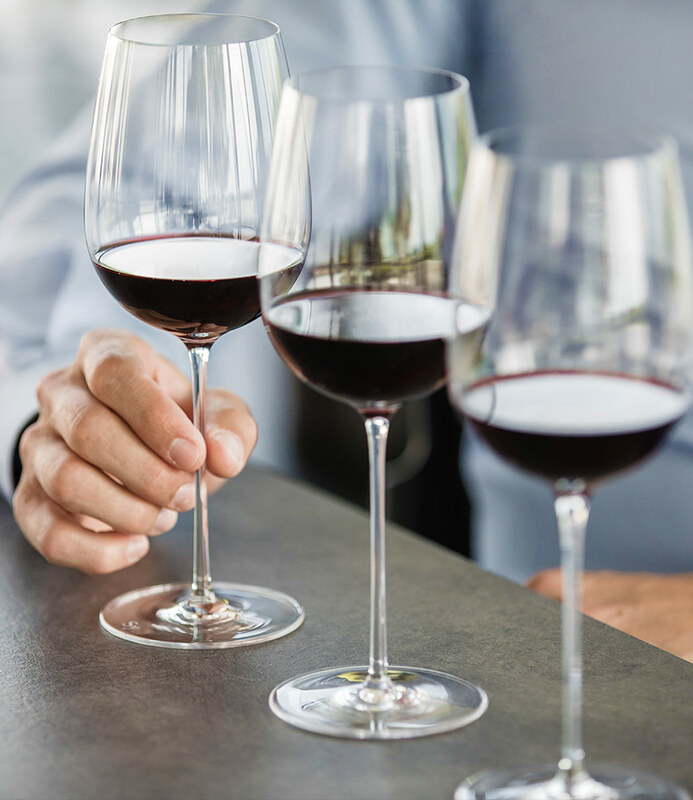 tasting glasses of remarkable precision. 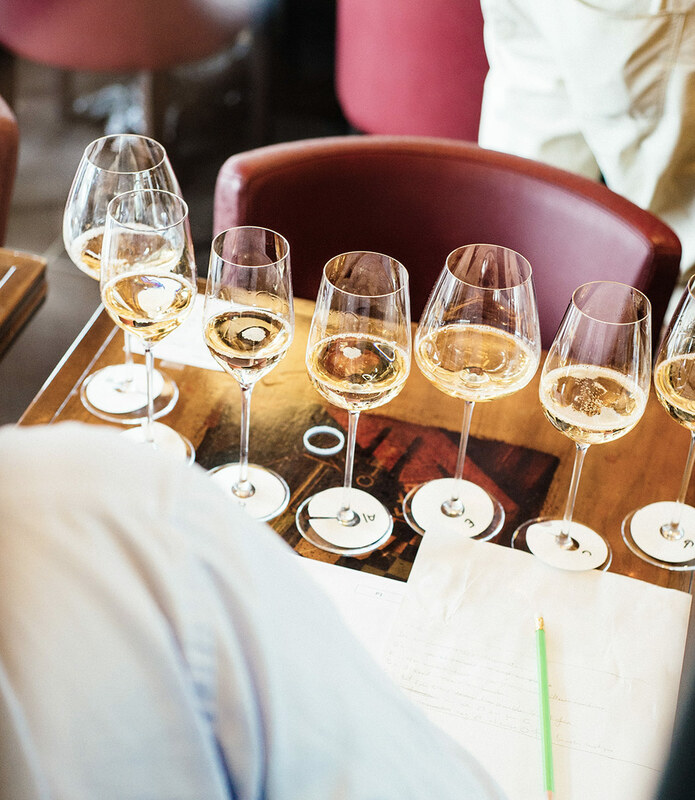 We began our adventure working with a panel of wine experts to measure the impact of glass variation on the tasting experience. 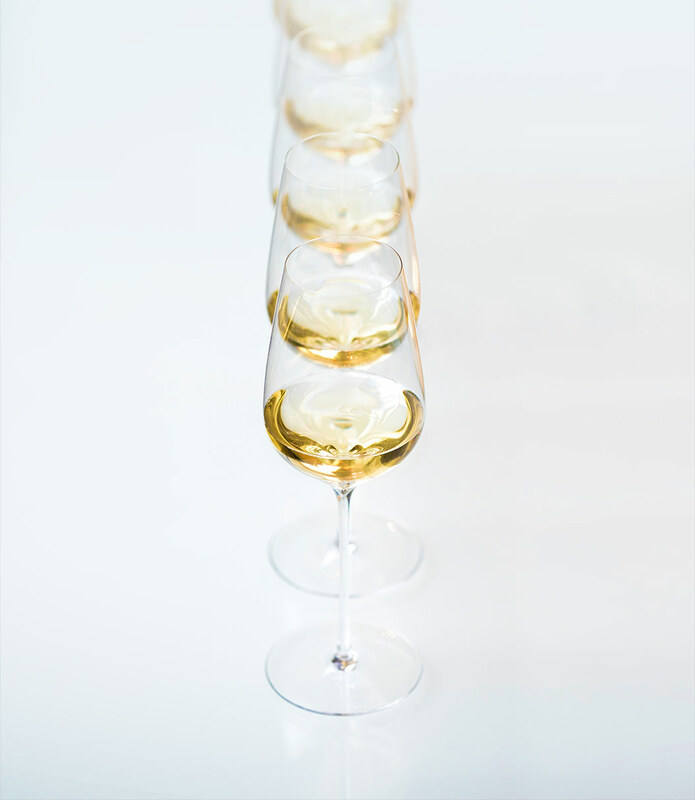 The essential aspect of a glass is the ratio between its maximum diameter and that of its rim. 7 prototypes were born from our findings and each was tested by 100 professional tasters. • L’Universel combines remarkable precision with astonishing versatility, offering delicate reds, Champagnes, white and sweet wines newfound fullness of expression. • L’Esthete gives clarity of voice to powerful, tannic red wines while conserving balance and expressive aromatics.